As what can we see nowdays, Proton and Perodua are very competitive to launch their new product. Just after Perodua launch it Perodua Myvi Lagi Best Lagi Power with 1.5L engine, Proton one step ahead with their latest model; Proton Exora Bold and Exora Prime. With this variant, there will be no more complaint of this MPV of being underpowered. Because of the critics, Proton has come up with a more powerful Campro 1.6L CFE bolted on with BorgWarner KP39 Low Inertia turbo charger unit. Besides that, this engine also undergone many changes such as a lower compression ratio, new water jacket and new con-rod as well as crank shaft. This CFE (Charged Fuel Efficiency) engine gets an additional 0.75bar of boost over the atmospheric pressure after 2000rpm, which result in 13 more horsepower and 205Nm of torque from 2,000-4,000rpm compare to previous CPS engine, resulting in 138hp at 5,000rpm which is comparable with 2.0L engine. With the CVT transmission and new VVT setting, we can fell the torquey at lower rpm, together with smooth power delivery. As what was mention by the writer of Car Bikers Trucks (CBT) Hezeri Samsuri article's on 8 Jan 2012 said, they were able to push the speedo up to 190km/h with seven occupants on a private road. ﻿ ﻿Because of the increase in the power, Proton will never take for granted about the safety and handling. twin SRS airbag, pre-tensioner seat-belt, ABS as well as EBD. Proton also has improved it suspension and brakes, as a proove the wider tyres installed is 205/55/R16. The fuel consumpation remain in acceptable range that is 8.3L/100km in 90km/h a litte bit higher than normal Campro CPS considering the amount of extra power you get from the CFE engine. But fuel usage can be as low as 7.8L/100km if you drive gently with the accelerator. While the interior, proton also has change the seat cover with the darker shade of plastics and higher grade of leather, DVD player and air-con vents for all rows. The higher specced Prime will get a six-seater layout which the second row gets a pair of seat, LCD monitor on the back of both front seat, and reverse camera in which the image from the rear camera can be seen through the rear-view mirror. LCD screen behind front seat rear passanger. In the picture (Right) is Exora Bold middle row seat, while Exora Prime only 2 seater, Design as captain seat. ﻿ So, if you can't wait to drive and owned this MPV, go to the nearest Proton showroom. But if you want more stylish appearance of your Exora, maybe you need to wait 3-6month before proton launch its Exora CFE facelift models, but I just say "Maybe". 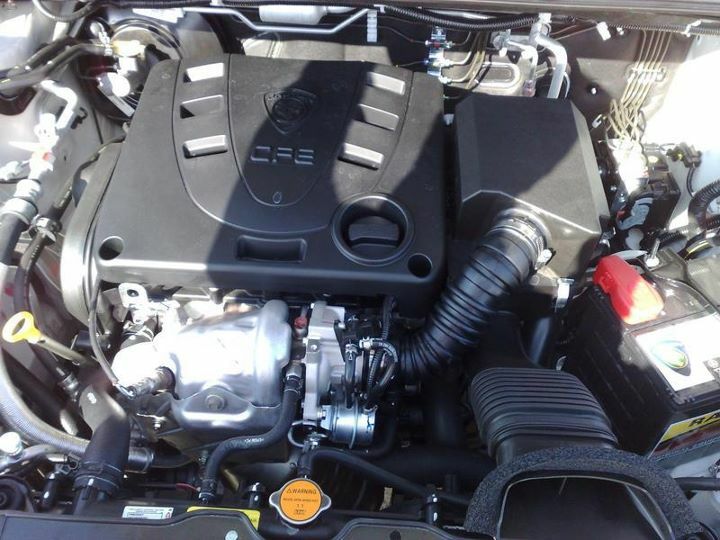 There is a possibility that the 1.6 Campro CFE turbo engine to be fitted into Persona and Satria Neo engine bay, and the Proton new-born-to-be model that was only known as P3-21A code, in which the design was taken from the concept car "Tuah" shown during the KL International Motor Show 2010.